The Transpo 25 mirror finds its application in forklift trucks and gives the driver a safe, scrutinizing look into the rear space. The mirror is made of impact-resistant acrylic. The mirror surface is protected in an impact-resistant shell. 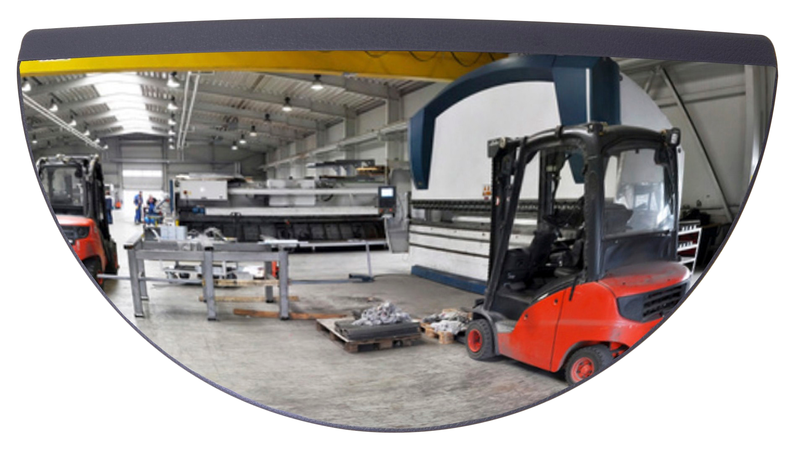 The mirror can be mounted in the vehicle by means of an included mounting.